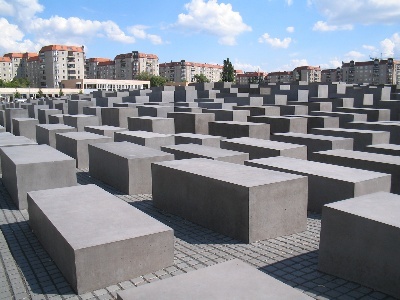 The Holocaust Memorial (Memorial to the Murdered Jews of Europe) is located in Berlin. It was designed by Peter Eisenman. It is made up of 2.711 concrete blocks and covers 19.000 square metres. The blocks are 2,38 metres long and 0,95 metres wide. The height varies from 0,2 to 4,8 metres. It cold, uneasy and confusing structure resembles the system that lost touch and systematically killed approximately six million Jews, half of which were woman and children. 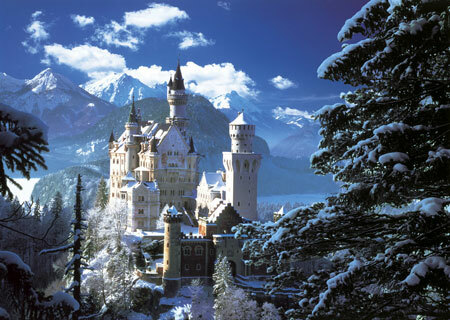 The castle is built on a hill above Hohenschwangau Village in Germany. It was built in the late 19th century by Ludwig II of Bavaria, as a personal retreat. After his death, the castle was opened to the public and is now one of Germany's most popular tourist attractions.